Please get the word to all parents!! Players do not need to attend. Thank you to all who came to tryouts! CALLING ALL FUTURE GRISSOM TIGERS!! Whew! What a great turnout we have had with our kindergarten-6th graders on Mondays! We have room for a few more so come on. ON WEDNESDAY'S, we have 6th, 7th, 8th graders at Grissom coming to lift, jump train, and condition. It is AMAZING! Thank you for coming to hang with us. We are so excited to meet and get to know all of these girls. Monday Clinics starting February 25th from 5:30-7:00 for 1st thru 6th graders from all Grissom feeder schools. 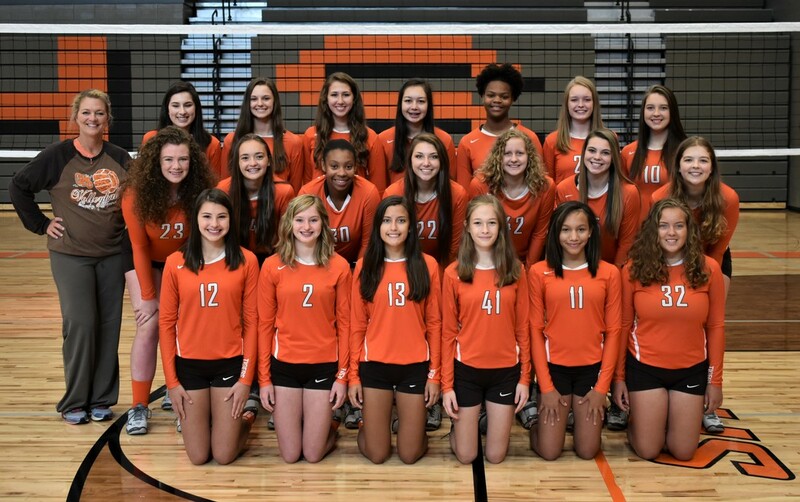 The cost is $10.00 per session, make checks payable to Grissom Volleyball. The clinics will take place in Grissom gyms (Main or Auxiliary). Wednesday Workouts starting February 27th from 3:30-5:00. Free to Grissom feeder school 6th thru 8th graders. You are invited to come workout with us. We will lift weights, jump train, and have some small group court time. Meet us in the Grissom Gym. Please sign up with Coach Tanya Broadway! Please send website comments to the webmaster.